About 5:00-5:15 you will start this tour with your free pick up from your hotel to arrive and check in at our lounge and enjoy a free light breakfast at Royal Phuket Marina (definitely most luxury pier). 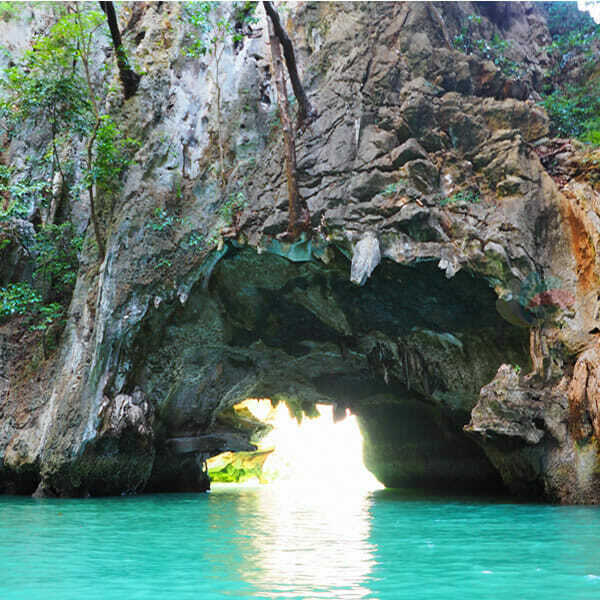 After briefing from your group tour guide we will walk to the premium speedboat and depart to Koh Panak ( Panak island ) to explore the famous island cave. 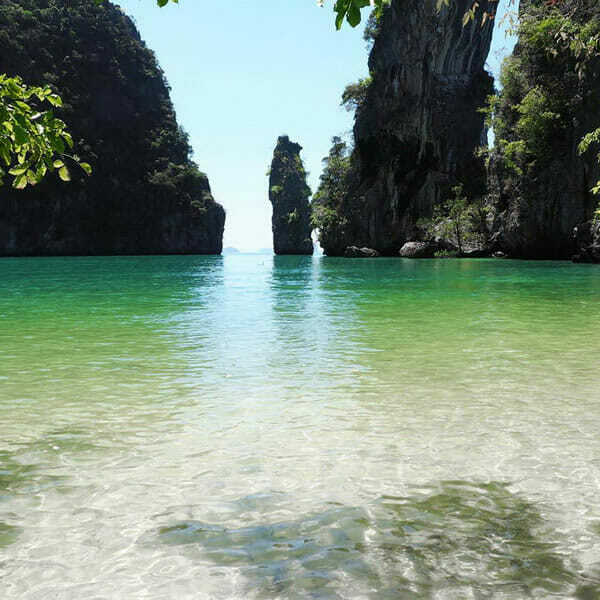 Right after this great sightseeing time we straight ride heading to Koh Hong ( Hong island ) for our canoeing activity time. Here you will be able to experience amazing nature’s wonder that are normally only accessible by canoe and so very unique. 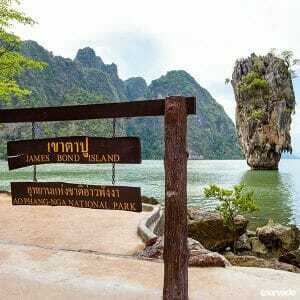 Next stop will be the James Bond Island and we will visit the island most famous spot, most famous also all over Phang Nga Bay, but getting here earlier than all other tours will make you enjoy this island at much less crowded time than ever, as this spot is usually overcrowded with loads of visitor cause well known to all tourists in the area of Phuket and Krabi and a must see in the all region. After we will get you to a Secret Island! We will make our ride to this fantastic place for your photo time, your relaxing and swimming time. 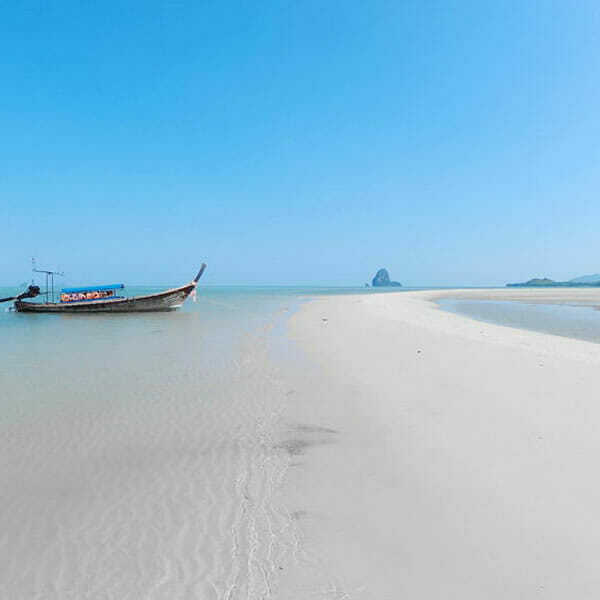 Your Lunch time on this James Bond Sunrise trip will be for a change at the extraordinary beautiful Koh Yao Noi at a beach front restaurant. Just next to our lunch place we will visit for our last destination Koh Yao Yai because we want to give you a great sun bath and swimming time in this unique place before we will be heading back to Phuket. 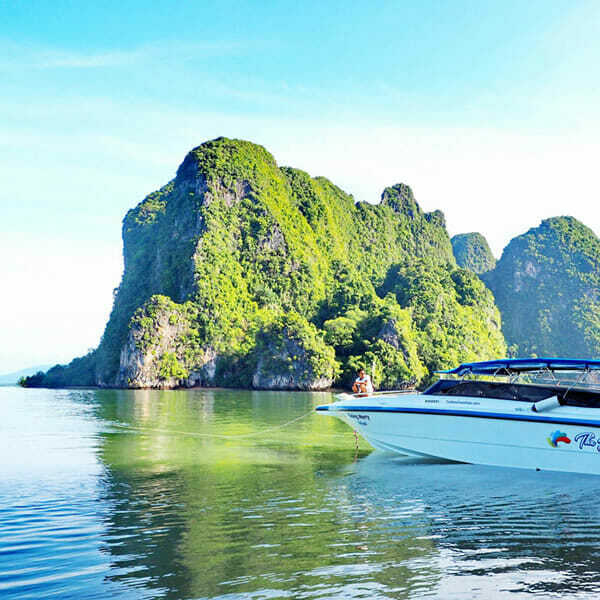 Around 15:00 we will arrive back at Royal Phuket Marina and transfer you back to your hotel. 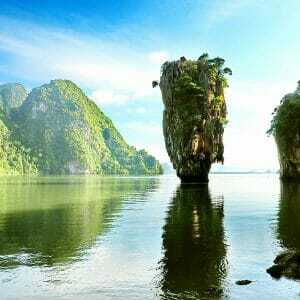 James bond island (Phang Nga Bay) sunrise trip is the must do if you will be or currently are in Phuket! 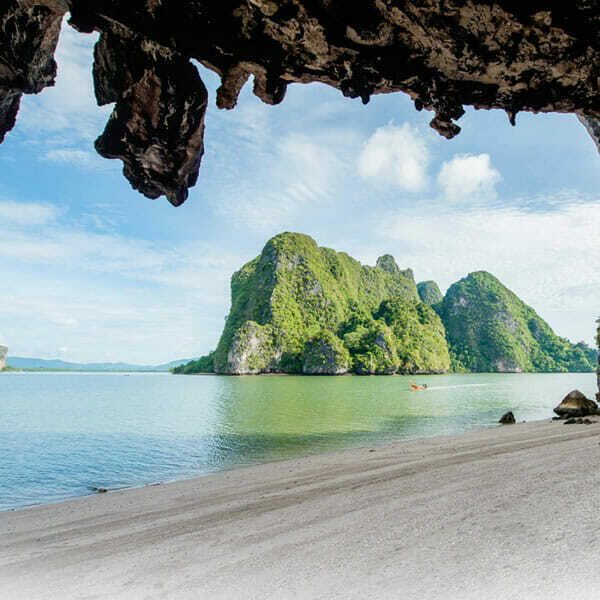 A unique tour available only from Phuket. 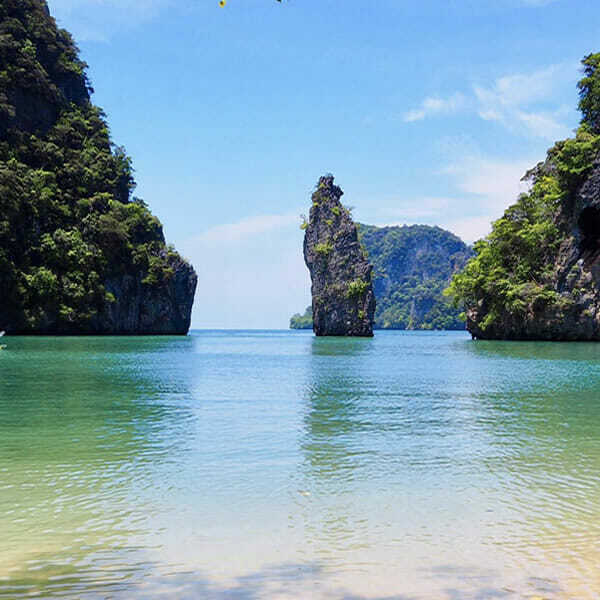 If you are lucky to get on this tour you will enjoy the amazing scenery on sunrise riding through Phang Nga bay. 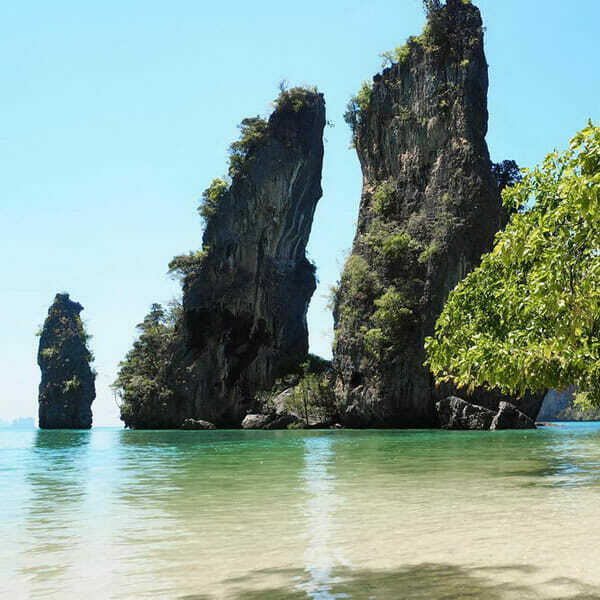 To make all the experience very special this tour avoid all other tours timings and itineraries to bring you in all best and most famous Phang Nga bay places and sceneries when almost nobody is there! 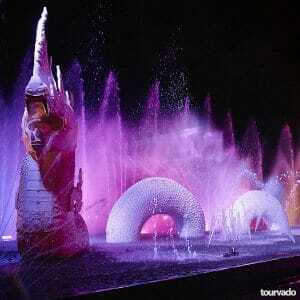 In this way you can really experience the places like if you were the first to get there! 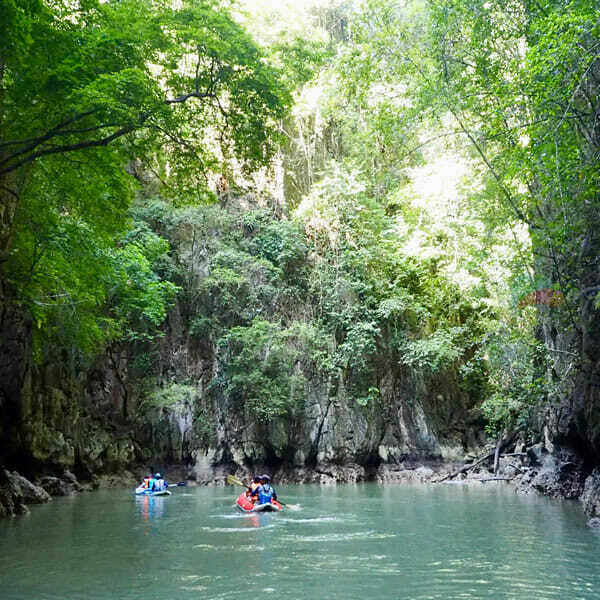 You will be visiting beautiful cave, you will be canoeing with our crew in one of most beautiful sceneries in all Thailand and all South East Asia. Our goal here is to show you all the best spots when there is almost no crowd and almost no other tourists, so you can fully enjoy all the tour inclusions with this Luxury James Bond island tour package also feeling the privilege of attending a unique tour. A really good day thanks for the staff on board and amazing places. 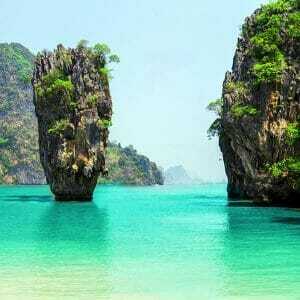 Arrived at James Bond island we were almost alone, it was super as was just us and the Thai workes on the island. The guide and all be staff on this tour took care of us every moment and we visited great places with good comfort and with oit other tours crowds! Very organized tour.